Volvo just startled the world with the most innovative truck design ever! This literally overshadows the Audi Future Truck I published last year. 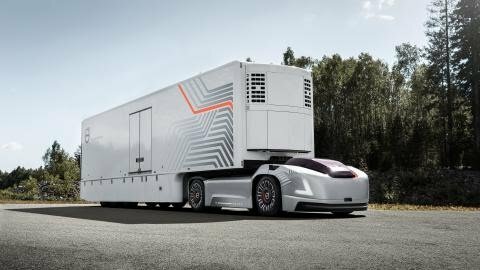 Meet Vera, the self-driving truck with no cabin. It's a working concept and Volvo has decided to let us in on how it works. 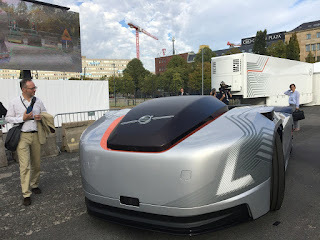 Make no mistakes, this truck cannot be driven as it is specifically designed to be fully autonomous and electric too! Vera would operate on a cloud-based system, speeding up worldwide business of haulage and logistics. The truck will most likely operate efficiently in busy areas like ports and warehouses. According to Mikael Karlsson, Vice President Autonomous Solutions at Volvo Trucks, “Vera is still under development, as we need to take steps to secure safety aspects and can deliver a premium experience to our customers." Take a look at the Vera Truck in action!